There are many types of the corsets. They are divided primarily by the shape and length. Personally, I distinguish three basic types of corsets - the ones that I most commonly sew. Overbust - the corset fully or partially covers the bust (photo). 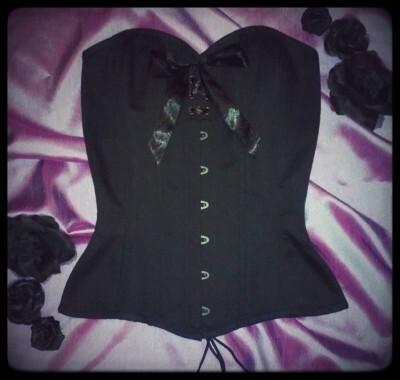 Such corset can be worn interchangeably with a top or a blouse on the straps. Perfect for a prom or a wedding. 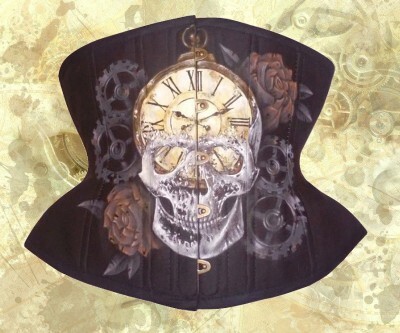 Underbust - the corset stretching from the line below the bust to the hips (photo). The most common type of corset and the most versatile. Recommended for the corset beginners. The most comfortable type of corset, because it does not cover the ribs or pelvic bones. Gives maximum freedom of movement.